Recently, violent crimes have been catching pace day by day. Whether it’s dark in the streets at night, or scorching sun in a busy afternoon—you never know if you are safe enough by yourself or not. As worrisome it might be, there is always a solution for everything or at least precautionary measures should always be taken. That is why keeping your safety first is the top most priority—here we have information regarding a smart and functional weapon belt buckle knife hidden blade. What is a belt buckle knife? It would be as clear from its name that the weapon is related with the belt worn around the pant/jeans. Hidden belt buckle knife is a self defense weapon that is actually like the buckle of the belt but has a hidden knife attached to it. It is concealed knife inside the belt in such a way that apparently it seems like a normal belt until the wearer pulls it out for use. It is a perfect self defense weapon for situations where guns or other harmful weapons aren’t allowed. 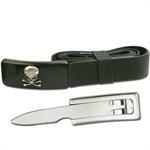 Many states prohibit citizens to carry dangerous weapons along with them on streets, but belt buckle knife? Nobody would even guess that you have it around. After all, who isn’t safety conscious? What are hidden belt buckle knife made up of? Usually, these are made up of stainless steel. The knife is concealed within the buckle, which is also made up of stainless steel. The blade is usually short and sharp enough to cut anything in a single strike. The concealed knife is curved from the front to avoid harm to the wearer. From the outside, the buckle is designed with different, fancy patterns to make them look sassy as well. Shape and style may vary in different places and brands that you buy these from. This is the classiest yet dangerous self defense weapon for those who wear jeans/pants. With 3.5 inches stainless steel blade, it cuts with precision and finesse. This knife is not only best for self-defense but also other survival means like cutting rope, hunting, shaving hair, attacking the opponent or dangerous prey etc. It is the best for those who always like to be equipped with some safety weapon. Designed in such a way, even an expert can’s that it is actually a weapon and not a common belt buckle. The blade safely locks into its place when not in use. Talking about its other features, it is made up of military grade nylon. The hidden blade is partially serrated. 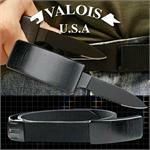 The knife, as well as the belt, is durable enough for long term use. It is as functional and effective as sassy as it seems! The most popular hidden blade belt knife. This is the concealed knife you have been looking for a "real hidden blade" at wholesale knife price. This knife has a 53 inch adjustable nylon belt. The 2.75 inch blade half serrated stainless blade is razor sharp. The simple design of belt buckle is made from black pakkawood. KnifeImport.com is offering it at low wholesale knife price. 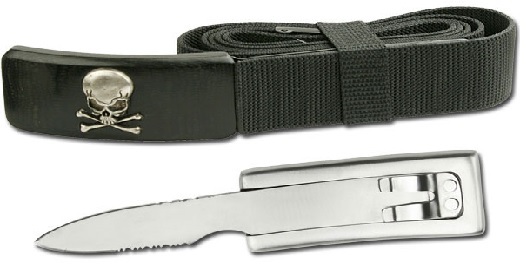 This hidden belt knife has a 53 inch adjustable nylon belt. The 2.75 inch stainless steel blade is half serrated and full silver. The buckle is made of pakkawood and has a skull and bones design. This nylon belt hidden knife is available at Knife Import.